Today my old friend Dan McKinnon was laid to rest at Miramar National Cemetery after a very Christ-centered funeral service at Clairemont Emmanual Baptist Church. He died on Thanksgiving Day, having lived a fruitful life of 78 years. You can read an article about Dan’s life in the UT newspaper by clicking here. Before he died, Dan meticulously planned his own funeral service, which is exactly what took place today. Congressman Duncan Hunter and his former pastor Tim LaHaye spoke, as did several other friends and relatives. Dan asked for specific songs to be sung: I Saw the Light, Will the Circle Be Unbroken, Daddy Sang Bass, Angel Band and the old spiritual Amen. It was my honor to play banjo and sing those songs for Dan today along with my old Brush Arbor band mates Ken Munds and Dave Rose. I first met Dan around 1966 when he was serving on the board of San Diego Youth For Christ. He was a young man, in his early 30’s as I recall and he owned a radio station in town, KSON. A few years later KSON sponsored a talent competition called “Country Star” (an early version of “American Idol”) and by that time I had formed a band called Brush Arbor. We decided to enter the contest. There were more than 100 entries and we managed to make the cut to the finals, a show that was broadcast live on the radio. Contest judges included a producer from Capitol Records, a Billboard magazine executive, and several other people who I don’t remember. We won the contest that night and the producer from Capitol (Steve Stone) asked us if we would be interested in a record deal with Capitol. Needless to say, we were very happy to sign a record contract that would put us on the same label with Buck Owens, Merle Haggard and the Beatles. After we were signed by Capitol, Dan offered to be our manager, and so we entered into an agreement with him which turned out to be very beneficial to us. 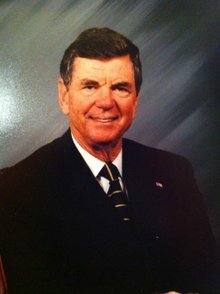 Not only did he own KSON, but he had connections with the Grand Ole Opry, the Country Music Association and many other country music industry leaders. With Dan as our manager, our very brief career as country music stars really took off. We got Nudie Suits, started playing Vegas, making appearances on the Opry, touring with Johnny Cash, Merle Haggard, the Everly Brothers, Marty Robbins, Waylon Jennings and the list goes on and on. I stayed on with the band for a couple of years before departing to continue my calling in youth ministry. About the time I left Brush Arbor in 1974, we won the Academy of Country Music Award for Vocal Group of the Year. We received a nice trophy (presented to us by Kenny Rogers) and so we gave it to Dan to keep in his trophy case. 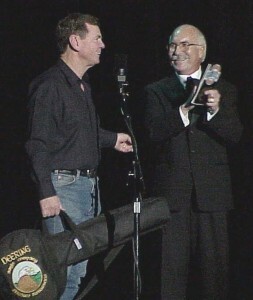 Thirty years later, Dan organized a reunion of the band at his Wildcat Canyon Ranch where he presented each one of us with our own Academy of Country Music Award which he made possible. Mine is prominently displayed in my home. In 1975 I had a conversation with Dan regarding bluegrass music. I mentioned that there were quite a few bluegrass music fans living in San Diego (me, for one) and I suggested that it might be a good idea to feature some bluegrass now and then on his radio station. He thought it was a great idea and he asked me if I would like to do it. I was completely surprised by the offer because I had no radio experience at all. (I thought radios worked because there were little tiny people inside.) Dan just grinned and said “Oh, anybody can be a DJ. We’ll show you how.” Ha. I have since learned that professional radio personalities are incredibly talented people. I still haven’t got the hang of it and I’ve been doing a weekly show on KSON now for almost four decades. 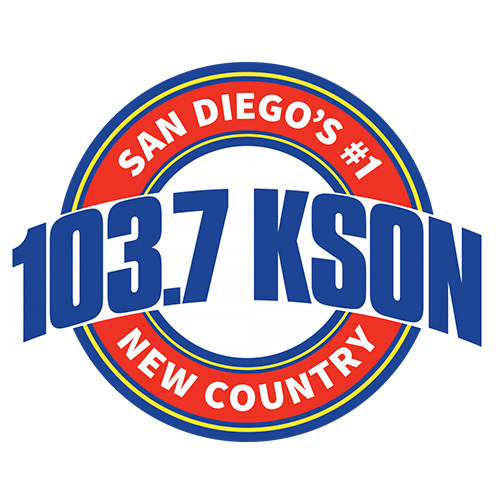 Dan sold KSON back in the eighties to Jefferson-Pilot Communications, who then sold the station to Lincoln Financial Media. I’ve had lots of bosses and program directors at KSON over the past four decades. But each year on the anniversary of my show, I like to give credit to Dan for its success and longevity. He made it all possible. In 2001, on our 25th anniversary extravaganza at the East County Performing Arts Center in El Cajon, I honored Dan by presenting him with a commemorative Deering Banjo. He always wanted to learn how to play one but I don’t think he ever found the time to work on his banjo licks. So goodbye old friend, and thank you. Thank you for believing in me and providing me with some of the most memorable and significant moments of my life. You will always be remembered with great fondness and respect. This entry was posted in Bluegrass, KSON's Bluegrass Special, Personal and tagged Bluegrass, Brush Arbor, Dan McKinnon, kson. Bookmark the permalink. …for the kind words regarding my Dad. He always admired your Christian committment and love of Bluegrass. He would listen to your show on Sunday nights when he was in town. He too was a big fan of Bluegrass . Sure appreciate you playing the songs my Dad requested at his funeral. He would of loved it. It was just the way he would of wanted it to sound. I am so sorry for the passing of Dan, I wanted to let him know for years how much I enjoy his book “Bullseye Iraq”but I just delayed and delayed. It is a book that I have read over and over throughout the years. He was a great author I get really caught up with the tension of each page. I was a Flight Attendant for many years and I love Isreal and am amazed at all they do. I’m sorry that you have lost a loved one, husband, father and friend.